A get-together will be held after the lecture. Stone flute and kalimba will be played in the background by BUN and NEBULA. 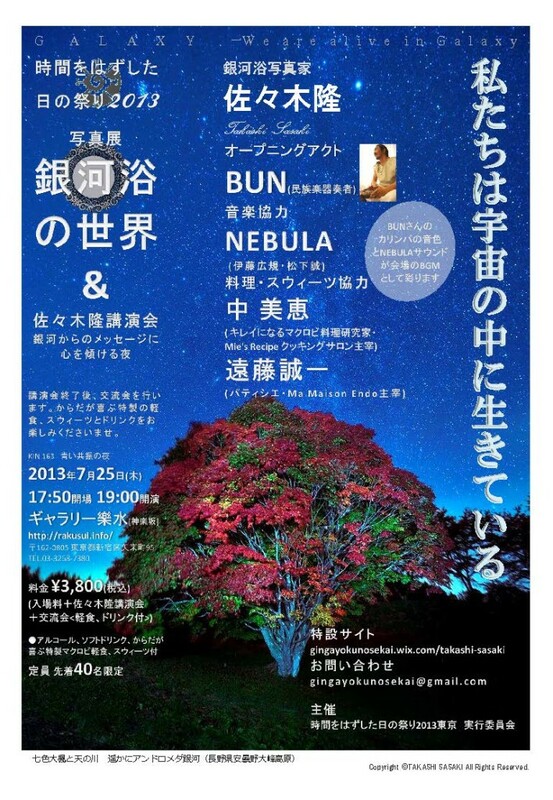 Macrobiotic dishes will be cooked and served by Mie Nakano and sweets prepared by patissier Seiichi Endo. I declare to create space where we can feel the oneness by tuning into high dimensional time together.